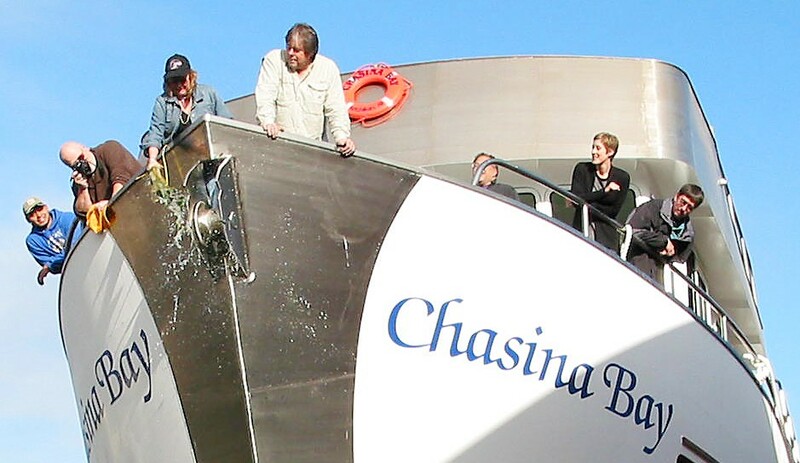 Chasina Bay Blog: The champagne bottle hits the bow ! Official blog for the adventure vessel Chasina Bay! Located in beautiful Southeast Alaska. The champagne bottle hits the bow ! A fine day for the Chasina Bay! More video of the boat heading down to the water!